Betrayal, pressure and frustration have taken their toll on Zahara, who was hell-bent on drinking herself to death. In December, the Afropop musician spent a bleak Christmas in hospital for a month with liver disease, which was worsened by heavy drinking. She was diagnosed with liver failure and warned by the doctors that, “if she continues drinking, she is going to die”, said her older sister Nomonde. “This broke her,” she told City Press this week. Zahara’s health has seriously affected her family, especially Nomonde and their mother, Xoliswa. Nomonde said that, when doctors told the family that Zahara’s liver was badly damaged, they looked at her lying on the hospital bed and lost hope that she would survive. “But we never stopped praying for her. It is prayer that gave us hope that she was going to be okay,” she said. “December was a tough month for us, but the doctors guaranteed that, if she stopped drinking, her liver might recover. We all had to come back to Joburg to give Zahara emotional and physical support,” Nomonde said, adding that her family was behind her 100%. “We are making sure that there is always someone around her to monitor her so that she doesn’t start drinking again,” she said. On Friday, Oyama Dyosiba, the man who manages Zahara, whose real name is Bulelwa Mkutukana, confirmed the Afropop star had suffered health issues related to her alcohol abuse. 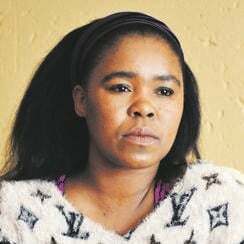 “But she has been sober since December,” Dyosiba said, adding that Zahara was not available for interviews and referred us to her lawyer Buhle Tonise, who declined to comment on her client’s health. The 30-year-old has kept a low profile since December, but this week publicly admitted that alcohol abuse almost destroyed her. She also took aim at Thembinkosi “TK” Nciza and Sbusiso “DJ Sbu” Leope, the owners of her former label TS Records, saying that they financially exploited her, and that she wanted what was due to her and vowed to drag them to court. Zahara left TS Records three years ago after three successful albums, Loliwe, Phendula and Country Girl. Tonise said Zahara was “demanding payments of monies on various contracts that are due to her, as well as for her intellectual property to be handed over”. This means she wants the rights to her music returned to her. Tonise said she was gathering documents in support of the civil matter and, “based on instructions we have been given by our client, we have a leg to stand on”. Nomonde said Zahara was never happy at TS Records, especially when it came to how the company ran her finances. She said that while her sister was a renowned artist, “this did not reflect in her bank account”. Seeing Zahara so frustrated put a lot of strain on the family, especially on her mother, who had to undergo three operations from stress-related conditions, Nomonde said. 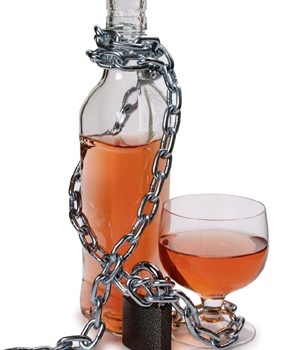 “My mother was badly affected by Zahara’s drinking problem,” she said. When they realised Zahara was an alcoholic, the family tried to intervene, but she would just weep and not give them any explanation about the reasons for her drinking. “If you listened to her two songs Ndiveze and Mgodi, she is talking about her trials and tribulations as an artist. Zahara has been through a lot,” Nomonde said. After years of denials, she confirmed that she was an alcoholic. She also came out swinging at TS Records, which has now been liquidated. In a subsequent radio interview, she said: “I was frustrated and so I drank a little to find happiness. It wasn’t that I needed it or that I was addicted. She further claimed that TS Records paid her only R10 000 a month, and she’s now demanding that they pay back her millions of rands in royalties. When approached for comment, Nciza denied all of Zahara’s allegations, saying she needed to have evidence to prove her claims. They added that Zahara owned all her music and continued to receive royalties from their publishing partners “into her own personal banking accounts”. Nciza said the label had paid Zahara what was due to her. “For all these years working with Zahara, I made sure I protected her because she was like a daughter to me. I know she has been through a lot, but it is not my place to discredit her,” he said. Zahara broke on to the scene in 2011 with her smash hit Loliwe, which went platinum just a few days after its release. But, in 2015, her battle with alcoholism hit the headlines. A loss of focus on her career, and missed interviews and performances, meant a loss of money. When the first reports of her dependence on alcohol were published, Zahara denied them vociferously and said on Instagram that “people must not believe everything they read”.